A major new development in the ongoing effort to make Kansas City a bicycle friendly community: The KCMO City Auditor's Office has released an audit of the current Bike KC plan that the Kansas City Star called "scathing". BikeWalkKC, the lead local advocacy group in the Kansas City region, said that the report "summarizes much of the community’s frustration at Kansas City’s progress. It also provides a much-needed wake-up call and an opportunity start anew with a clear vision, a well-designed strategy, and a modern master plan." Rock Island Trail Update: Connections for Springfield, St Louis? And more from MoRIT . . .
Greg Harris, Executive Director of the Missouri Rock Island Trail, Inc. (MoRIT) just sent the latest version of the Rock Island Trail Update. Hundreds attended the dedication of the first 47 miles of the Rock Island Trail on December 10, 2016. The Pleasant Hill to Windsor segment connects greater Kansas City to the 240 mile Katy Trail. Ameren will give an additional 144 miles to the State of Missouri in late 2017 after salvage of the rails and ties is completed. Salvage status is posted at https://www.powerforwardmo.com/rockisland. Today officials from Ameren joined with Missouri Governor Jay Nixon and State Parks Director Bill Bryan to announce that the work to salvage track and equipment from the 144-mile Rock Island railroad line and transfer the corridor to Missouri State Parks in 2017 for use as the Rock Island Trail State Park is in progress and on track. Earlier in December, Governor Nixon cut the ribbon to officially open the 47.5-mile Rock Island Trail section that connects the Katy Trail to the outskirts of the Kansas City metro area in Pleasant Hill. The announcement today concerns the continuation of the Rock Island corridor from Windsor to Beaufort, MO, near Washington. Just in time for the holidays, a stunning new rail-trail has arrived in Missouri. Opening Dec. 10, the 47.5-mile Rock Island Trail State Park is notable for its length—and its connection to an even longer trail: the renowned Katy Trail State Park, which, at 237.7 miles, nearly crosses the entire state. While the Katy Trail stops short of Kansas City, a forthcoming extension of the Rock Island Trail will march right to the city’s doorstep, making it possible to utilize both trails to travel between the state’s two largest cities, Kansas City and St. Louis, without a car. Please join Gov. Jay Nixon and Missouri State Parks in opening the 47.5 mile extension of the Katy Trail along Rock Island Trail State Park. A dedication ceremony will take place Saturday, Dec. 10, 2016 at 2 p.m. at the trailhead at 308 West Commercial in Pleasant Hill. Help us celebrate this important extension of the Katy Trail and honor those who have helped to make it possible. Please also plan to join the Governor on the trail following the ceremony. Last week the League of American Bicyclists announced the latest round of Bicycle Friendly Community awards. The League's report cards for each city, below, give a good summary of where each city stands in comparison with other similar cities across the U.S. and what each city needs to do to move up to the next level. Currently Missouri has 10 communities in the Bicycle Friendly Communities program, including 1 at Silver level, 6 Bronze, and 3 Honorable Mention. 1.4 million Missourians live in a community recognized under the Bicycle Friendly Communities program. This compares with 0 communities and 0 Missourians in the BFC program in 2008. Belle has secured a Recreational Trails Program grant to fund construction of more than a mile of trail through its center city, then west to its city park. The trail at Belle will be the first segment built on the 144 mile corridor that runs from Windsor to Beaufort, MO, near Union. It will be constructed this winter by special agreement with Ameren, the corridor owner. Ameren will donate the 144 mile corridor to the State of Missouri in late 2017 when the two-year salvage process is completed. One of the most important initiatives up for a vote in Missouri Tuesday involves an issue that is important to everyone in Missouri who walks, hikes, bicycles, or enjoys the outdoors: Amendment 1, to renew the existing tax that supports Missouri's State Parks, soils, and water. Half of the tax goes to support our state parks, including the Katy Trail, the Rock Island Trail, and over 1000 miles of trails in state parks in every part of Missouri. The other half goes to soil and water preservation measure that are important to everyone who enjoys the Missouri outdoors--and to our state's farmers and agricultural lands. This tax provides the primary form of support for our state parks and trails operated by Missouri State Parks like the Katy and Rock Island. If this funding vanishes, our state parks and trails will be in real trouble. This tax has been in place since 1983 years and is a 1/10 percent sales tax--or 1 cent on every $10 purchase you make. The tax must be renewed every 10 years. Missouri's general elections are being held across the state on Tuesday, November 8th, 2016. "I bicycle - I walk - I run and I vote" is one of the most powerful statements we can make to any elected leader, in our work to make Missouri a better, safer place to walk and bicycle. So whatever your party, whoever your candidates, whatever your issues, please get out and VOTE on Tuesday, November 8th. Major new bicycle network implemented in Carthage; which Missouri cities now have the most miles of bicycle lanes per capita? Carthage, Missouri, is in the process of adding about 24 miles of marked on-street bicycle lanes and routes this summer. A city of just 14,200, Carthage looks to have the most on-street bicycle routes per capita of any Missouri City, once the project is complete. The Carthage bicycle route system brings good, marked, on-street bicycle routes within easy bicycling distance of nearly every residence and business in the city. Creating a comprehensive on-street bicycle route system is one of our top recommendations for Missouri cities. On-street bicycle facilities re-purpose existing road space to create a safe enviroment for bicycling. Because streets already go everywhere in the city, an on-street bicycle route system is the best way to reach all citizens throughout a city. Because cities already have many miles of existing roads and streets--many of those miles very underused--creating an on-street bicycle route system is typically very inexpensive. Earlier this year, the Missouri General Assembly created the Missouri Moves fund, the first state transportation funding in modern history to take the total transportation approach to funding by funding transit, bicycling, and walking alongside road and highway projects. MoDOT reserved 1/3 of Missouri Moves funding for this type of multi-modal transportation project--and nearly 50% of project applications received were for multi-modal projects. Recently, Governor Nixon announced that he has withheld the entire amount of Missouri Moves funding--which will completely eliminate the program unless the Governor reverses course and restores some or all of the funding. Full details about the Governor's announcement here. The Governor needs to hear from you about this decision. He needs to know that Missourians support funding for walking, bicycling, and transit and that it has many benefits for Missouri and Missourians. Please take a few minutes to speak up and let your voice be heard. In a surprise move yesterday, Governor Nixon has restricted the entire $20 million in funding from the new Missouri Moves cost share funding. 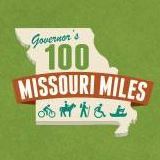 Missouri Moves, passed by the Missouri General Assembly this spring, is the first state transportation funding in Missouri history to take the "total transportation" approach, which makes funding available for transit, walking, and bicycling alongside of road and highway projects. MoDOT has already solicited and received applications for the funding, which was to be distributed as a local cost share program. In the applications that were submitted, local cities and counties were offering to provide 50-80% of the total cost of the projects. MoDOT indicated that approximately 50% of the funding applications submitted were for multimodal projects, with many bicycle, pedestrian, and transit projects in the mix. MoDOT reserved 1/3 of the total funding for multimodal and bike/ped projects. In addition to the projects submitted specifically for the multi-modal/bike/ped funding, many of the projects submitted for the 2/3 of the funding reserved for road and highway projects also included bicycle and pedestrian elements.